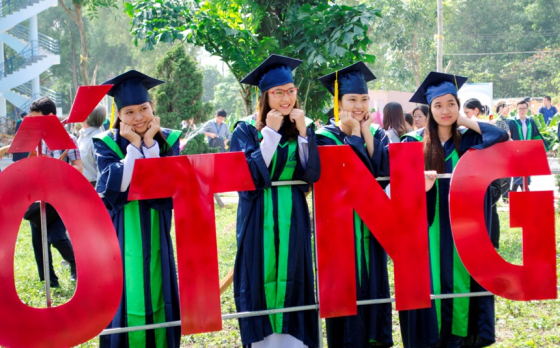 University of Information Technology, Vietnam National University Ho Chi Minh City (VNU-HCM) is a public university which takes charge in training in Information and Communication Technology (ICT). Established under the Decision No. 134/2006/QD-TTg dated on June 08, 2006 by the Prime Minister, UIT was based on the Center for Information Technology Development. 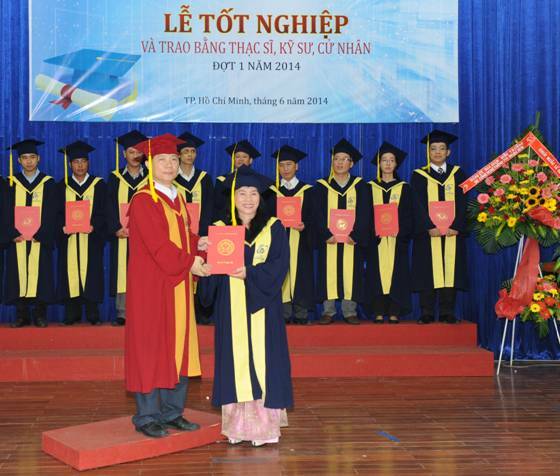 As a member of VNU-HCM, UIT is responsible for training human resources in information technology (IT) in order to contribute to the development of the Vietnam’s IT industry actively. Furthermore, UIT carries out scientific research and advanced IT transfer. 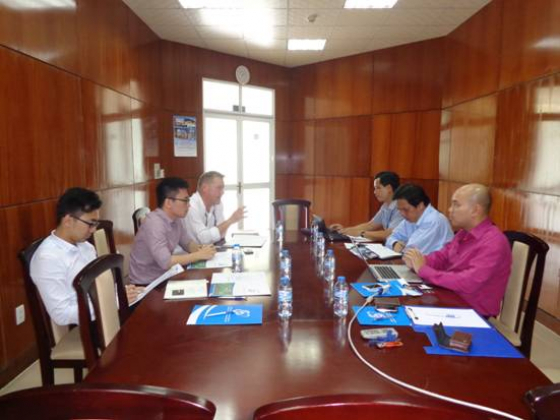 It especially focuses on the field of applications in order to boost the industrialization and modernization in the country. UIT is a home of qualified staffs and lecturers who meet the requirements of training and researching in the direction of applied universities. To the 2016-2017 academic year, the number of lecturers with MSc and PhD degrees in the ICT accounts for over 86% of the permanent lecturers, including 01 Professor, 07 Associate Professors, 34 PhDs and 105 Masters. 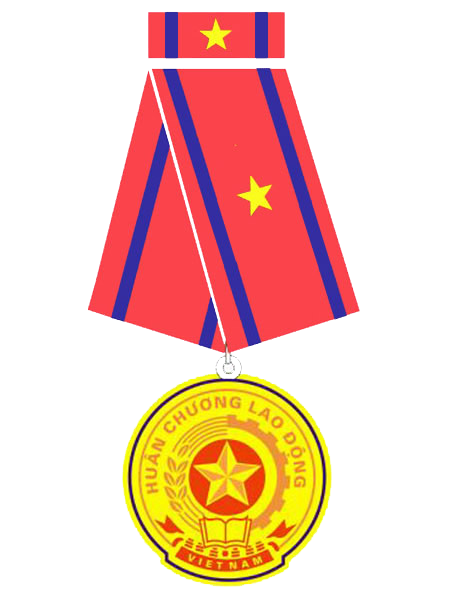 The majority of the teaching staffs graduated from prestigious universities in Vietnam and abroad, such as VNUHCM-University of Technology, VNUHCM-University of Science, Telecom University ParisTech (France), University of California, Los Angeles (United States of America), University of Portsmouth (UK), Grenoble Polytechnic Institute (France), Tasken University (Soviet Union), LinZ University (Austria), Curtin University of Technology (Australia), Sokendai University (Japan), etc. The lecturers are capable of teaching in foreign languages ​​(English, French) and teaching in international training programs. UIT’s training programs are tailored to meet the needs of diversed learners in learning and researching; and provide high quality human resources at the request of the society in the field of ICT from undergraduate to graduate training levels (including Master and PhD ones). UIT has 15 regular programs in engineering and bachelor degrees. 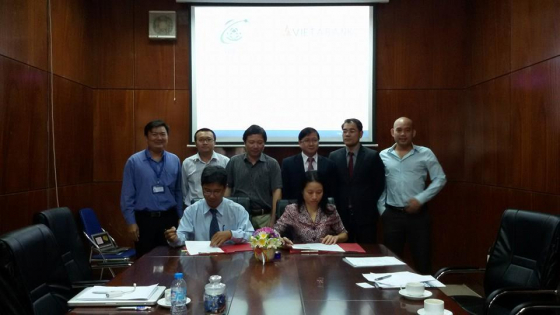 Additionally, UIT is among 8 key universities to train information security in Vietnam and meets social needs. 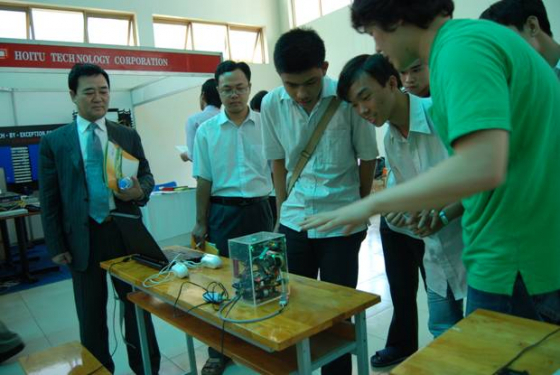 The University has 07 specialized training programs (full-time): Advanced Information Systems Engineer, Advanced Program in Information Systems, Bachelor of Science in Computer Science, etc. To the graduate level, UIT has 02 Master's degree programs (Computer Science and Information Technology) and two PhD’s degree programs (Computer Science and Information Technology). Through advanced training programs, IT is strongly applied while students are being taught, teachers are building curriculums and applying methodology in the direction of modern and sticks to the requirements of the reality, while increasing students’ ability to use English. The number of undergraduate and graduate students is over 6,000. Along with the UIT’s development of training, its scientific research activities are always interested and strongly developed. 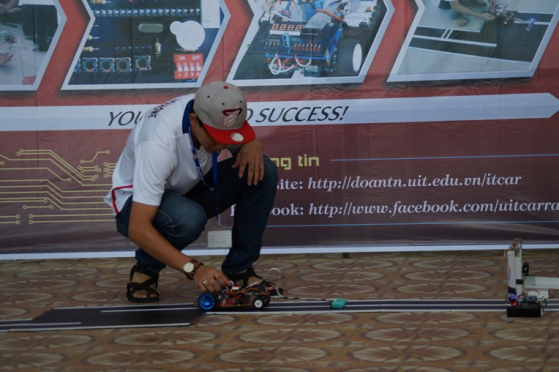 UIT’s strategic researches are of Information Security and Circuit Design (VLSI Design). In addition, others are continued to be invested and promoted such as: Knowledge Engineering, Signal Processing, Multimedia Processing, Network Security Network Security, Embedded Systems, Computer Network Protocols, Geographic Information Systems (GIS), and Mobile networks. National and international conferences held by UIT have become a forum for scientific researchers to exchange and collaborate on issues of mutual concern. 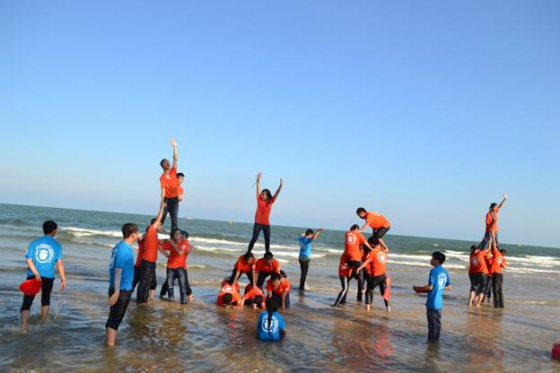 UIT's external relation activities are more open and in depth, serving practical training and scientific research. 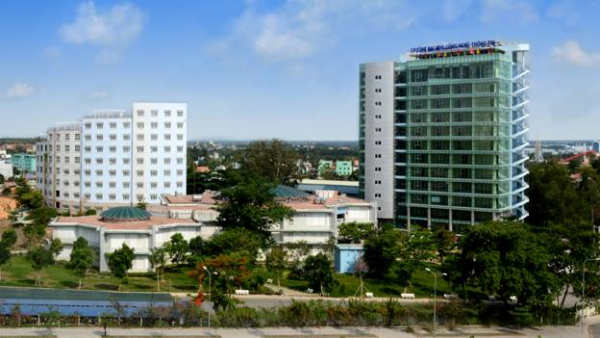 UIT has created good relationship with universities, research institutes, businesses and organizations in Vietnam and abroad in scientific research, joint training, exchange trainers, trainees and supply human resources. 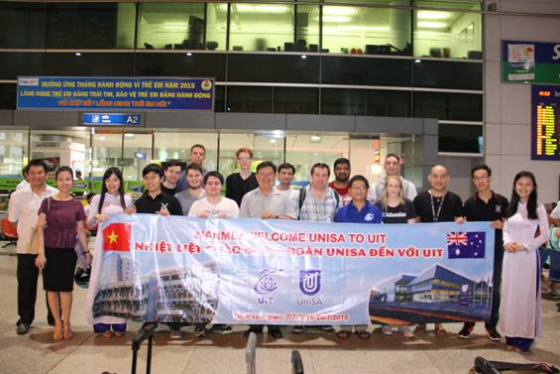 UIT’s partners are The University of South Australia, the Advanced Institute of Science and Technology of Japan (JAIST), the University of South Australia, IBM, Axon Active Vietnam, CSC Vietnam, VNG etc. To UIT’s pride, 100% UIT’s graduate students have jobs. Over 90% of graduates have jobs in ICT. Achieving the above results is a synthesis of many factors: the tiredless efforts of the Party leaders; increased investment in facilities and equipment to teaching and research work for students and lecturers; devoted teaching spirit, UIT lecturers’ devotion to the job and always besides students; investment and support from organizations and enterprises; The active support of the Youth Union and the Student Union so that UIT students are not only good at studying but also have a sense of responsibility to participate in social activities, contributing to the development of a more advanced country.